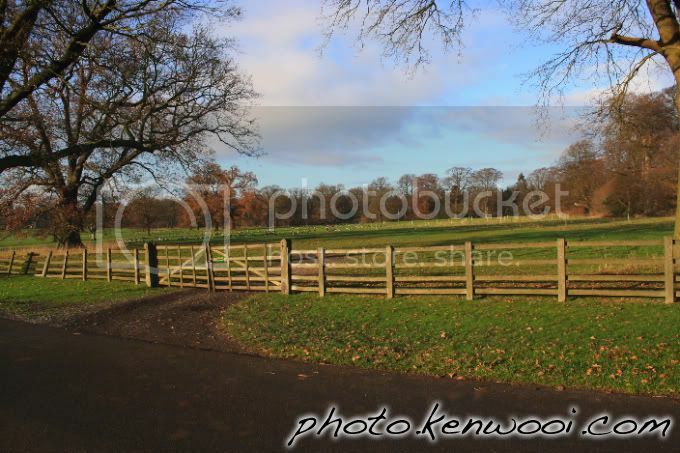 The spacious meadow before reaching Harewood House. Railed with wooden fence. More details at Breathtaking Harewood House on kenwooi.com.